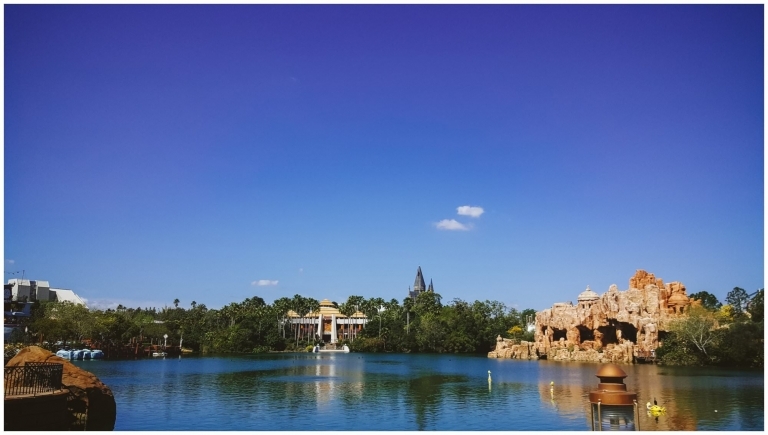 Today I thought I’d share some personal photos from our Orlando holiday. This holiday had been planned for about a year without our children knowing. Emmie had been told we were going to Disneyland in Paris, and Myles wasn’t told anything. Being 4 years old, he would have just kept asking when we could go to the airport… So the four of us met up with two of our friends who were coming with us at the airport (which was another surprise for the kids). Emmie, being the smart cookie that she is, worked out that we weren’t going to Paris. So the cat was out of the bag over a Nandos breakfast (yes that is an actual thing). We had a five bedroom villa with private pool to ourselves. As the only driver, I had the responsibility of driving the huge tank of a car, whilst sat on the wrong side of the car, driving on the wrong side of the road. The first few days were stressful… Well actually the first half an hour was the most stressful when I couldn’t even reverse out of the parking space! Thankfully by the end of the two weeks, I was driving like a natural. The two weeks out there were just magical. There’s no other way of describing it. I haven’t been seen 2002, and when I went, I had just found out I was pregnant with Emmie. 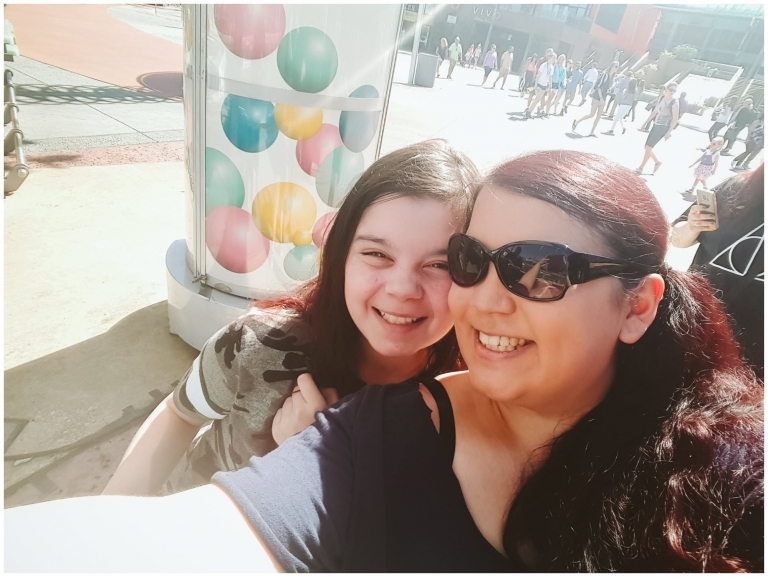 So there wasn’t a great deal I could do… But I’m so glad we got to go whilst Emmie wasn’t too old (not that I think you can ever be too old for Disney!) and Myles was at a good age to remember and know what was going on. Nothing makes me happier than making my kids happy. 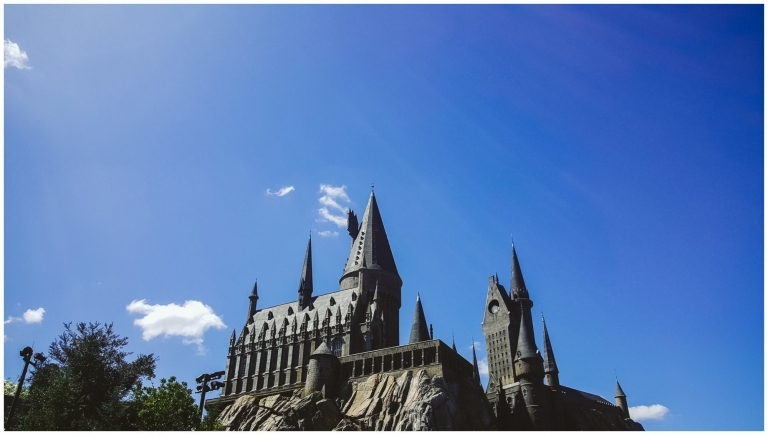 And being able to see the smiles on their faces when we got to ride the Hogwarts Express, or see the Disney Castle, or watch the fireworks… you can’t put a price on that. And being the big kid that I am, being able to go back to Disney and Universal was just as exciting for me. I got to go on the Tower of Terror and Space Mountain which are rides I’ve always wanted to do. 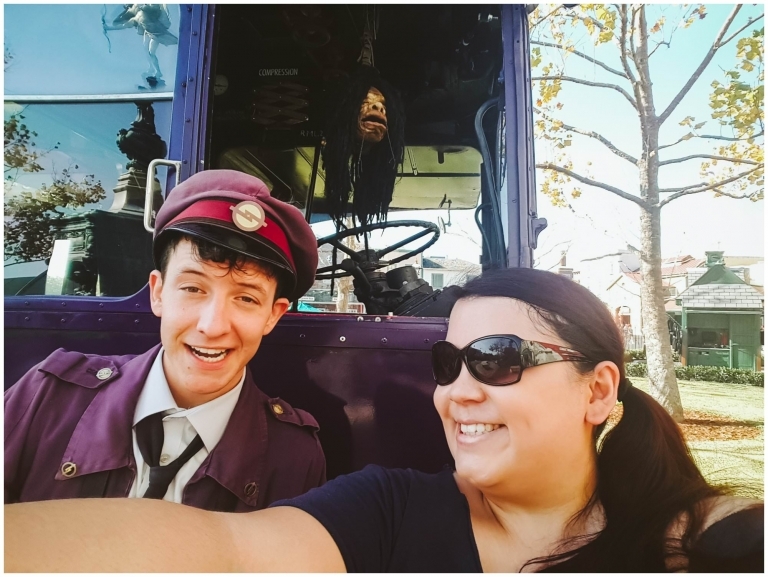 And we got to go to Diagon Alley and Hogsmeade, and you know how I feel about Harry Potter! So as well as doing Disney World and Universal as one does in Florida, we were also able to tick something off my bucket list. Going to Wrestlemania. I had been watching wrestling from when I was 4 years old thanks to my mum. It’s something that has been a big thing in my family and we got back into it about two years ago. And so to be able to actually go to Wrestlemania 33, have pretty good seats, and see some of my favourites in action was just a dream come true. Dan said he has never seen me as excited as when the Hardyz returned… I may have actually jumped up and down on the spot. I may have even cried when the Undertaker made his entrance and exit for the last time as well. Now these photos I’m sharing are from my phone. I did take my camera but somebody *coughDancough* had dropped it on the floor and so it wasn’t working properly. Gutted. But never mind. We hope to go back in 5-6 years time as one of the Universal dudes told me (as I was wearing my Final Fantasy tshirt) that in about that time, the Nintendo World at Universal should be all ready. Exciting or what!? With Mario and Zelda? Yes please!! Plus the Star Wars Land and the Avatar World and Volcano Bay to go explore… I think we’ll need at least a month to go see all the things we want to see! Also something I learnt. If you’re going to do Wrestlemania. Just do Wrestlemania. There was so much stuff going on that we didn’t do that I was a little gutted about. But y’know… I may just have the ‘Mania bug and may have to find a way to get to good old New Orleans for Wrestlemania 2018! So here are some of my favourite photographs from our trip to Florida. And as a photographer, I have to say, I’m glad that there are actually lots of photos of me included. I mean granted quite a lot of them are selfies. But hey, being the photographer, you tend to be hidden behind it. Nice to see I’m in it and actually there! What I love about this is that this sums me up. I am a big kid, I love to smile and laugh and have fun. I love spending time with my family and people who I love. I’m a geek when it comes to things like Harry Potter and Final Fantasy and superheroes. I love colour and life and Florida is full of that. So if you want to know what kind of person I am, this is me. Big grins, double chins and all. At Universal! You can see Hogwarts and Jurassic Park from here! Probably my most favourite sign ever! Dan and I did some of the water rides. We had just done Dudley Do-Right’s Ripsaw Falls ride which was so much fun. Before that we had done Jurassic Park River Adventure, and then I went on to do Popeye & Bluto’s Bilge-Rat Barges… my trainers then bubbled with every step I took… Oh and I need this Beaker hat in my life! Us with Chewie… I hope he didn’t notice my bag! Dan and I all merched up with double chins and all! Probably my favourite family photo of us. Dan and Emmie squeezed me so much my ears started falling off and Myles didn’t seem to care what was going on! Forced Emmie onto a ride… the Dumbo flying ride! When in Florida, you must have ice cream, and noone does it better than Florean Fortescue! Myles with Spiderman (we did get a proper photo with the green screen and he even signed it!) whilst I tried on all the ears!